Olé, a word heard in the bullrings of Spain and meaning roughly the same as “bravo,” is a shout of approval, and thus an apt name for this young importing firm, founded in 1999, and which has been receiving accolades from critics like Robert Parker and the hard-to-please “Wine Curmudgeon” (see quotations from both, below). 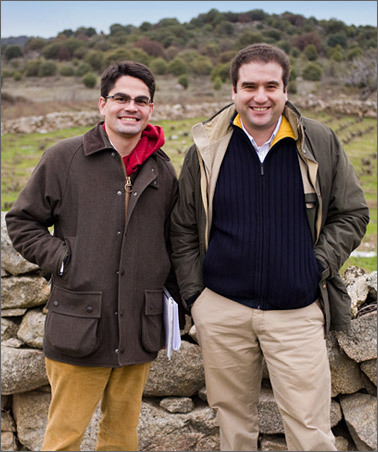 The company was founded by two men then in their twenties, Patrick Mata and Alberto Orte, starting with three bottles of wine. Patrick’s father was a malagueño, his mother Belgian. Patrick was born in Málaga in 1978, but his father’s family came originally from the town of La Mata, Soria in N. Spain but his great grandfather moved to Andalucía, taking with him the surname Mata, after the town. A winery was established by him in Málaga, where in addition to Malaga wine, Rioja, Priorato and Jerez wines were produced, under the name of Compañía Mata. Their wines were sold in Spain and abroad, including Russia, Switzerland, Germany, the U.S., and Cuba. When José Mata, the grandfather, died in the late 1960’s all the family-owned wineries were sold. Patrick’s father had worked in the wine trade for six years, but once the wineries were sold he went into the real state development business. Meanwhile, Patrick remains fascinated by his family history and its involvement in the wine business. 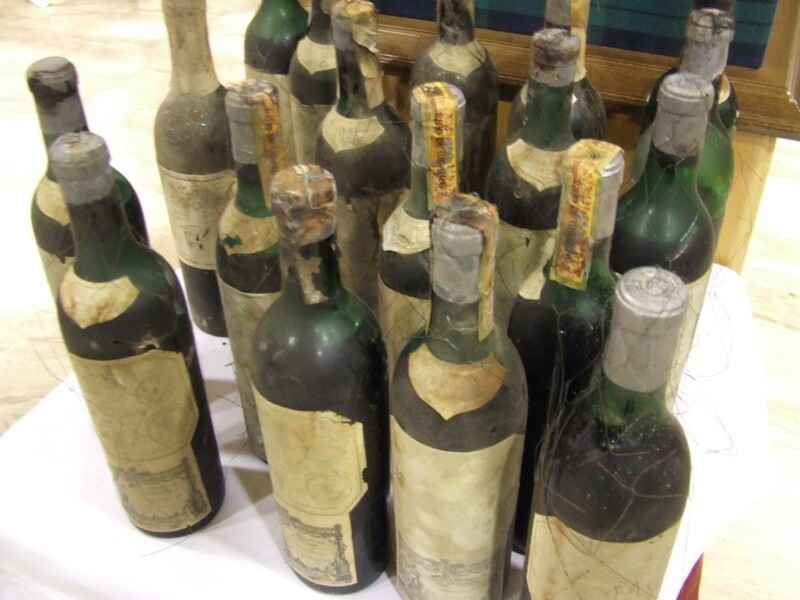 He’s been seeking Mata wines and found an 1816 Málaga sweet wine (rather like Madeira in style), but the owner wanted $32,000 for it. He studied at the University of Madrid at the Escorial and it was there that he met Alberto, whose family had also been in the business of wine. Alberto, Patrick’s partner in Olé Imports, is a madrileño and, like Patrick, attended the University of Madrid, where they met. Alberto studied Law and Patrick business afterwards formed a partnership and started an advertising company by the name Olé Marketing, in Madrid, which would be the foundation later to the wine company Olé Imports. At 19 years of age, Patrick went to Miami to attend the University of St. Thomas, while in college; Patrick audited a wine class at Florida International University (FIU). He ended up taking a one-semester course with Chip Cassidy on the subject of the distribution of wine and spirits in the US. Patrick called Alberto in Madrid to tell him that he needed some wines for Prof. Cassidy to taste, so he was sent three bottles, including a sweet Montilla. He met Cassidy—who in addition to being on the faculty of FIU was also a buyer for twenty-five wine shops—on a Saturday at 10:00, along with some of his distributors. Upon tasting the wines one distributor, Carlos García of Iberia Wines, ordered 400 cases. He wanted to then place a second order after the first one had sold out, and at this point Alberto had to seek out other wines to export. After graduating, Patrick moved to New York and, after six months searching for a distributor, Martin Scott Wines was recommended, so he signed a distribution agreement with that firm. He also traveled to Connecticut, Vermont, Ohio, Rhode Island, Maryland, Virginia, and Washington, DC, to drum up business for the wines that Olé was offering. By 2006 Alberto, staying behind in Spain, decided to enrolled in the master program of Oenology and Viticulture at the Politecnic University of Madrid. He then went on to start making wine—not found in the US—in different regions throughout Spain. A Rioja wine priced under $10 and a Priorat wine at $15 are two examples of 25 different wines that Alberto is now handling and distributing throughout Spain and now in the United States. Olé now has 150 different Spanish wines in its portfolio, including the 25 created and made by Alberto. The style of wines that they make and sell are of relatively low extraction. Many wines are aged in concrete tanks which, like oak, actually breath, impart no wood characteristics, and are inexpensive by comparison with wood barrels. Furthermore, Alberto also rescues varieties that have on occasion been on the verge of extinction, such as the mere six hectares (about 15 acres) of Tintilla de Rota in the DO region of Cádiz, in southwestern Andalucía. He is perhaps the only person to be making dry red wine from this variety. Olé presently distributes its wines in forty-three States. In addition, they have also created a new portfolio category, Peninsula, which includes many more boutique wineries than those by Alberto. It is a more special vehicle for wines that are not known even in Spain, perhaps barely in their own regions. Furthermore, the demand for the overall range of wines that Olé offers comes from ten countries so far, including Japan, Germany, Italy, as well as other countries, including the USA. A prize for the best Spanish wine firm was awarded on May 9, 2012 in Madrid: among the finalists were Torres, the Catalan wine producer that helped revolutionize the production of wine in Spain; Marqués de Cáceres, a Rioja producer that changed the way that Rioja wines are marketed and perceived outside of Spain; and Olé Imports, by far the youngest firm among them. Marqués de Riscal Reserva 1952 – its color has a very pale raspberry hue. Its nose was, of course, fully developed, and it also offered aromas of balsamic and rather fruity—old leather is not evident in this one. Like the ’45, it has a large portion of Cabernet (though not as much) in the blend and had the benefit of being of an excellent vintage year in Rioja. It had very good structure which was reflected in the sensations it produced in the mouth—acidity, alcohol, and tannin all harmoniously integrated, with notes of balsamic, leather, vanilla, spice. Very nice indeed. Bodegas C.V.N.E. Viña Real Reserva Especial 1952 – Not as aromatic as the 1935, more subdued, with some fruit and old leather, fully mature. Medium-bodied, with a good balance of alcohol, acidity, and integrated tannins.Quite lovely.Its grapes come from old vines in the Rioja Alavesa. Viña Pomal Reserva Especial 1952 – from a winery established in 1908 and renowned for its reserve wines. A very pale brick color, this Reserva seemed closed and tired after a few hours in carafe, so I was disappointed when I tasted it, thinking that it offered little, but apparently it needed nearly six or seven hours of aeration before it really opened up and showed its stuff, according to Patrick. I regret not having been able to taste it at that point myself. Bodegas C.V.N.E. “Imperial” Cosecha 1955 – – this wine was remarkably like the 1935, which is high praise, and it had the benefit of coming from an exceptional year in Rioja. Pale brick color, with a subdued bouquet, with notes of wet leather, tobacco, spice. In the mouth, medium-bodied, almost sweet. Though 20 years younger than the 1935, it actually offered less length and not so long a finish as the older wine. Still, a really good example of an old vintage. Viña Pomal Reserva Especial 1955 – Embarrasingly for me, I have no tasting notes for this wine, though I had definitely tried it. Bodegas C.V.N.E. “Imperial” Cosecha 1956 – its color was a pale, brick red, and on the nose I detected a hint of VA (volatile acidity) which gave it a prick, but it was clearly mature, with leather and tobacco notes. In the mouth it was acidic, but with well-integrated tannins and the mature notes of leather and tobacco with a hint of vanilla. Fragile, I’d say. Marqués de Riscal Reserva 1960 – by this vintage, Riscal had abandoned its Cabernet and in fact produced a wine that was 100% Tempranillo. A medium-pale reddish-brown, the wine evinced tobacco and vanilla on the nose, but with hints of autumn in the air—a sign that the wine, while still good to drink, was already in decline—not necessarily a bad thing if you like the autumn air. In the mouth, I found it a trifle tired, a bit acidic, but that the tobacco and leather flavor was still in evidence. It came from a good vintage, but it seemed even older than the ’45 Riscal or the ’35 Imperial. Marqués de Riscal Reserva 1969 – this was a pale brick-red color showing brown hues, but the nose was still fresh yet developed; in the mouth it was balanced, exhibiting subdued tobacco-leaf and vanilla flavors; clearly mature, but the finish was somewhat short. NOTE: One must always bear in mind that very old wines pose special challenges, such as the condition of the corks, which if not replaced after 15 years or so can turn bad. In fact, none of these wines had been recorked, so the oldest cork went back 77 years. All of the corks broke apart upon opening the bottles, so the wines were decanted through a mesh filter to keep the cork from going into the decanters, but amazingly none of the wines were “corked,” that is, affected by TCA, which spoils the wine. Ullage, or the amount of the air in the bottles, was mostly at the lower neck, with only one at high shoulder, so, as all the corks were intact before being pulled, none of the wines was already oxidized upon being opened. That speaks extremely well of the storage conditions of the restaurant cellar. Old wines can also vary considerably from one bottle to the next. Pinyolet Garnacha 2010 (DO Montsant; 100% Garnacha from fifty-year-old vines, dry-farmed and organically grown) – with a $16 suggested retail price, this wine has to be considered a bargain, given its deep ruby color, youthful, aromatic nose loaded with minerals and black fruit; in the mouth well-balanced, with good structure, and plenty of flavor. It was aged for six months in a stainless-steel tank on its lees. It was made by Carles Escolar. Quite special. Blanc d’Orto 2011 (Village wine of Masroig; DO Rias Baixas) – this wine, a clear, medium lemon-gold color, proffered aromas of tropical fruit with a citrus edge, and was youthful and fresh in the mouth, with good acidity, a medium body, and flavors redolent with tropical fruit and citrus. It had spent seven months in a stainless-steel tank. Made by Joan Arsens for Orto Vins, it is delightful and well worth the suggested price of $43 a bottle. Leirana Albariño 2011 (DO Rias Baixas) – everything that an Albariño should be, this is. Clear, with a light lime-gold hue, it has a perfumed, racy nose of tropical fruit and lime, and it adumbrates the taste perfectly, with a very tingly finish that is long for a youthful white wine. Raul Perez made this wine for Forjas del Salnes—which you’ve certainly never heard of (nor I), fermenting it with ambient yeast, no malo, and aged in stainless steel. No wonder it tingles. All this for only $37. DSG Phincas 2009 (DOCa Rioja, Biodynamic® without certification—blended from five parcels) – Its youth is attested by its color: deep ruby with a purple core and narrow pink meniscus; the nose is suffused with primary aromas of black fruit, cedar, and tobacco; in the mouth it has wonderful balance, and flavors mirror aromas, with a rich body and good length. Made of 70% Tempranillo, with 15% Graciano, 10% Garnacha, and 5% Viura (the white grape of Rioja), this blend reflects the ones made back in the first half of the last century. With a long maceration and fermentation on indigenous yeast and fourteen months in French oak, this is a wine definitely to lay down—if not for 77 years, then for at least 7 or longer. David Sampedro Gil (DSG) made this with almost maniacal care. So treat it with TLC. He goes on to say, “There are a couple of importers whose wines are so trustworthy that the Wine Curmudgeon will buy them regardless of what’s in the bottle. Kermit Lynch, of course, for French wine, and Ole Imports and Patrick Mata for Spanish wine.” This is exceptionally high praise from the curmudgeonly reviewer (Jeff Siegel), who tends to be a skeptic about many things vinous, particularly when dealing with the mainstream press and mass-market wines. 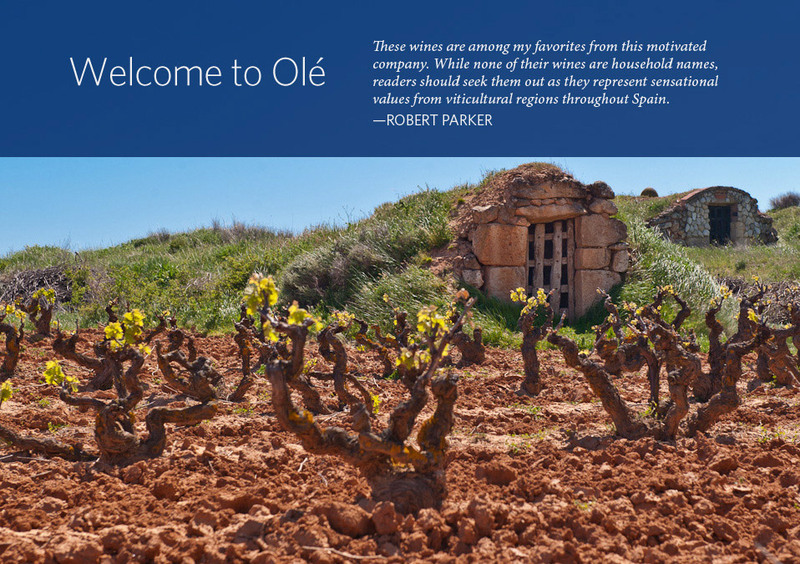 There are two interviews on this blog of Spanish winemakers whose wines are imported by Olé: The first is with Pablo de Villar, who specializes in wines made from Verdejo; the second is with Tom Puyaubert, who makes wines with a difference in Rioja. At present there are three employees working in Spain, and ten in the United States. This entry was posted in Wine importers, Wineries and tagged Alberto Orte, Alentejo, Biodynamic, Bodegas Federico Paternina Gran Reserva, Carles Escolar, Chip Cassidy, Compania de Vinos del Atlantico, CVA, CVNE, David Sampedro Gil, DSG Phincas, Forjas del Salnes, Imperial Gran Reserva, Instituto Cervantes, Jeff Siegel, Joan Arsens, Leirana, Los Tamarises, Marques de Riscal, Ole Imports, Orto Vins, Pantheon of Wine, Patrick Mata, Peninsula Portfolio, Pinyolet, rare Rioja, Rioja wine, Robert Parker, Spanish wine, Vega Sicilia, Vina Pomal, Wine Curmudgeon on 21 October 2012 by JoseM-L.